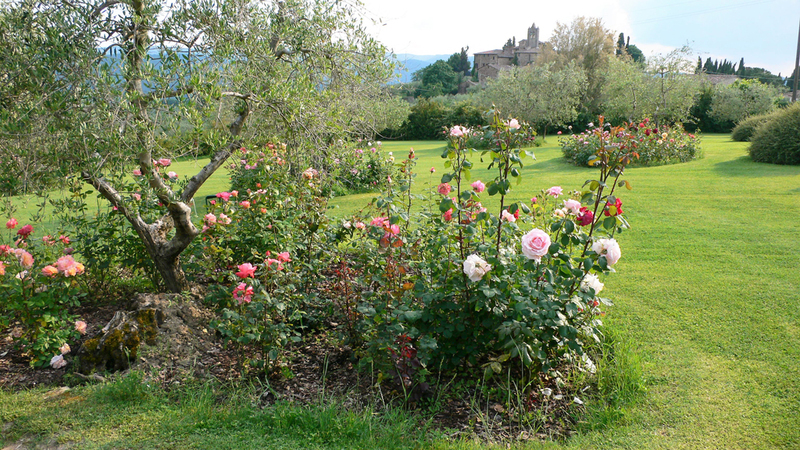 The gardens of Villa le Barone in Chianti Tuscany, are full of perfumes that will enchant your nose, whatever the season. The other senses are also solicited: the sight with the views on the wonderful landscapes of the Chianti hills, the hearing with the bird’s songs and the bells of the nearby church (but they stop during the night! ), the taste with all the flavors of the Tuscan cuisine. There are of course the roses, blooming in all seasons, the honeysuckles, which climb here and there and exhale their delicate perfume, the different odorous jasmine, and you will certainly particularly enjoy the large, deep green foliage and profuse white and very fragrant flowers of the poet jasmine. You will love the scent of verbena leaves by crumpling them between your fingers! 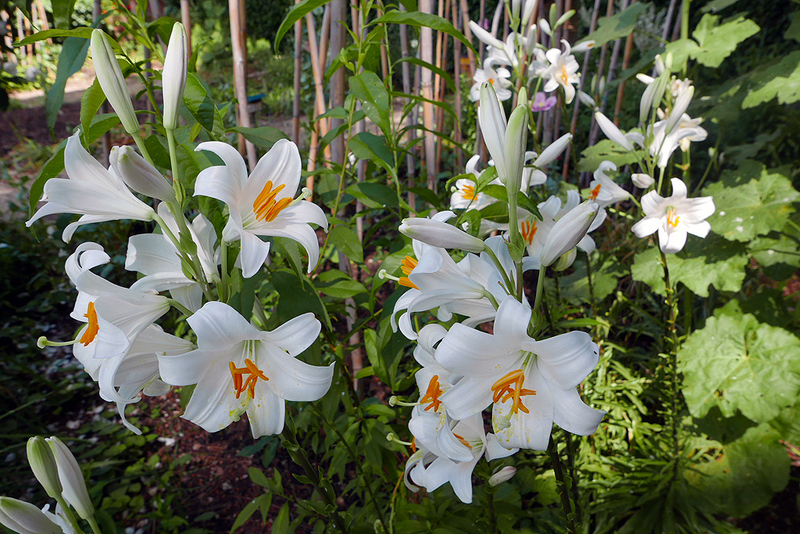 At the end of June the lilies are in full bloom, and their fragrance make the garden a delight! And of course there are all the scents of aromatic plants that perfume the Tuscan cuisine and that you can enjoy in our restaurant! Rosemary, basil, tarragon, different species of thyme, sage (do you know there are more than 100 different species of sage?) are widely used by our Tuscan cooks. We have also created in one of the gardens an angle where you can discover about a hundred aromatic herbs. Near the “Fattoria”, there is a massive lavender, where butterflies come to flit. And what views, whether of the pool, tennis or gardens! 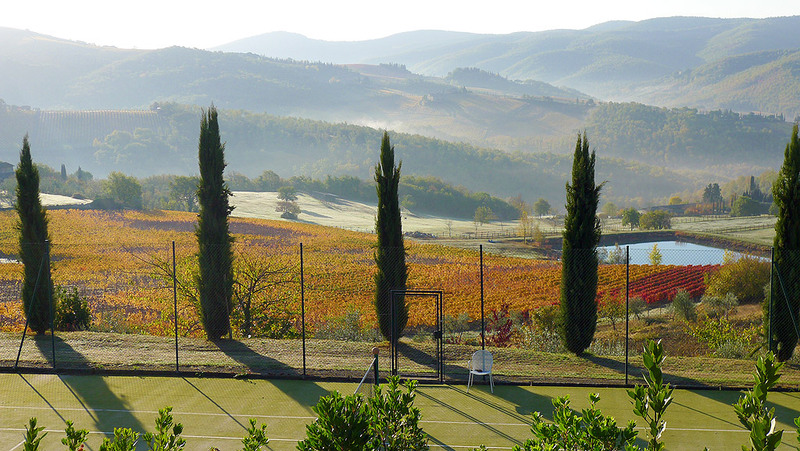 Your eyes will be captivated by the enchanting vistas on the Chianti hills, with their vineyards and olive groves. What’s better than to be soothed by the sound of water, to hear the birds and the sound of the bells of the neighboring church San Leolino while having a light lunch on the terrace under the centennials chestnuts? 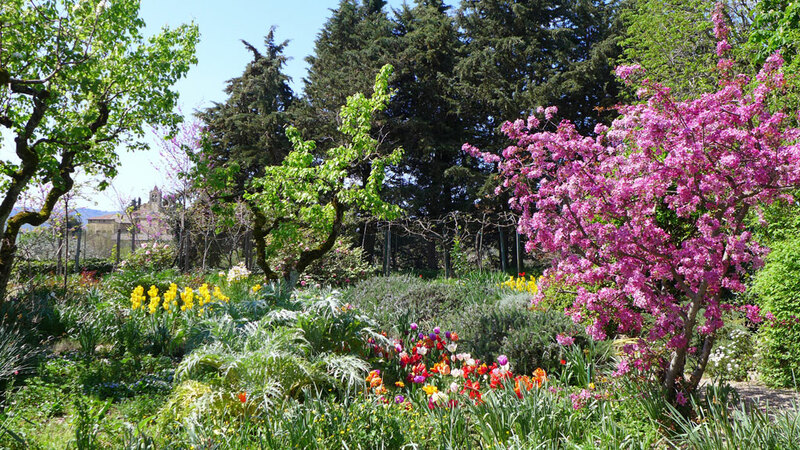 Come and experience the scents of Villa le Barone’s gardens, come and admire its unique views, come and taste the wines of Chianti and Tuscan cuisine, come and listen to the song of birds! Come and relax in this privileged environment! Are you sure you know Chianti? 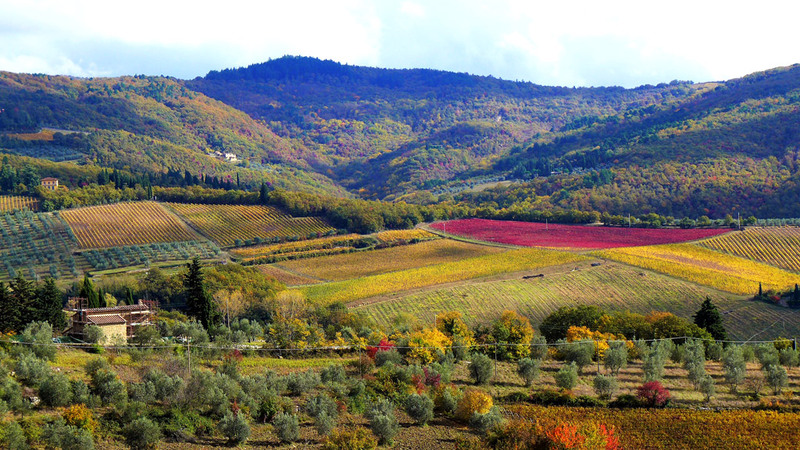 It is a blessed region of Tuscany: landscapes, art, wines and gastronomy! You have to come and come back again and again to discover all its facets. Villa le Barone has the chance to be in the heart of this corner of paradise! Indeed there is a lot to discover in Chianti: sublime hillside landscapes, exquisite wines, authentic small villages, wonderful artistic heritage, and delectable gastronomy. The stunning landscapes change with the seasons: tender green of the fields and sunny yellow of the broom in spring, yellow of the sunflowers in summer, ochres and the reds of the vines and vineyards in autumn. And, along the hills slopes, cypresses and olive trees, symbol of Tuscany! Pure air, perfumes, birdsongs, and church bells sounds guaranteed! Chianti is full of small churches, abbeys, hamlets and medieval villages, to be discovered along the roads. Gastronomy is one of the pleasure of the lifestyle in Chianti , with the “antipasti” composed of various hors d’oeuvres, with the “bistecca alla fiorentina”, with the pecorino cheese, with the fresh and tasty vegetables and fruits, … And of course, there are the wines of Chianti, with a winemaking tradition that dates back to the 13th century. Most wineries and caves can be visited and wine tastings are a must! Villa le Barone lies in the middle of the Chianti paradise… whether you are a walker, a cyclist, or driving a car, you will find at the Villa all the information you need to discover the many facets of Chianti! Greve in Chianti, in the province of Florence, is the small town that opens the door to this beautiful region that is Chianti. Located at the crossroads of Via Chiantigiana between Florence and Siena and the road to the Val d’Arno, it was in the Middle Ages an active exchange center. It has kept charm and traditions, and is a member of the “cittaslow” network of cities where living is good! Panzano in Chianti, in the heart of the vineyards that produce the famous “Chianti Classico” is part of the municipality of Greve. 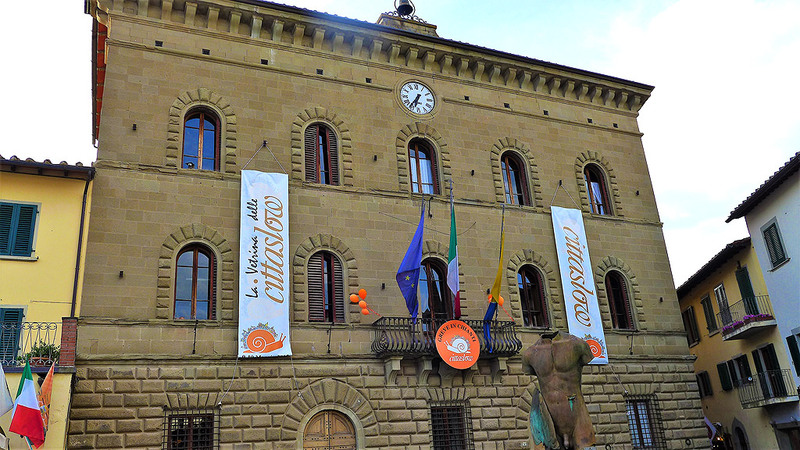 Greve in Chianti is still a very active city today with its typical market held every Saturday: fruits and vegetables, cheeses, but also clothes, table linen, and many other products! This is where locals meet and share the latest news! The square is triangular, slightly in descent. It is bordered on the sides by arches to protect from the sun, with pretty craft shops, great cold cuts and grocery stores with the famous Tuscan hams and local cheeses, and of course some restaurants! At the top of the square is the Santa Croce church, built in the 19th century on the site of an old oratory, but which has retained some beautiful 15th century paintings. At the bottom of the square, in the widest part, a contemporary statue has been installed in front of the town hall. In the middle of the square, stands the statue of Giovanni Verrazzano, a navigator born in Greve in Chianti in 1485, the first European to explore the Atlantic coast of the United States and Canada, and to enter the Hudson Bay. The bridge between Brooklyn and Staten Island in New York is named after him. Greve in Chianti is one of the cities that have joined the “cittaslow” movement, a network of cities that respect tradition, authenticity of products and good food … It is the host of many festivals and events and in particular in April a large flea market , in May the festival of flowers, in July the Daniel Ferro Vocal Program, in September the Wine Festival … Greve in Chianti is one of the 9 municipalities on which the “Chianti Classico” which can carry the famous logo of the “Black Rooster” is produced. The small village of Panzano in Chianti is located on the territory of the municipality of Greve, where Villa le Barone, is located. Life is good at Villa le Barone, in the Chianti hills, and we serve traditional “slow food”! Panzano in Chianti, a charming Tuscan medieval village located exactly between Florence and Siena, must be discovered, with its churches, its vineyards and cellars, its market, its typical shops, its festivals, its craftsmen, its protected environment and the beauty of its landscapes. Panzano is located in the heart of the “Chianti Classico”, with famous producers of these wines known around the world. Coming from Florence, after crossing Greve in Chianti, the road to Panzano rises slowly in the countryside, offering beautiful perspectives on the Chianti hills, olive groves and vineyards … and then it’s the arrival on the main square, Piazza Bucciarelli, with its shops, restaurants, bar, florist, fountain … Every Sunday the market takes place on this square. This is where one can find fruits and vegetables, cheeses, roast chicken, kitchenware… Every first Sunday of the month, the market (then called “aprilante”) is enriched by the presence of artisans who offer their products. The small street, to the right of the square, lined with old houses, rises towards the center of Panzano, the castle and towards the church of Santa Maria Assunta, completely rebuilt in the 19th century on the site of the old medieval church. 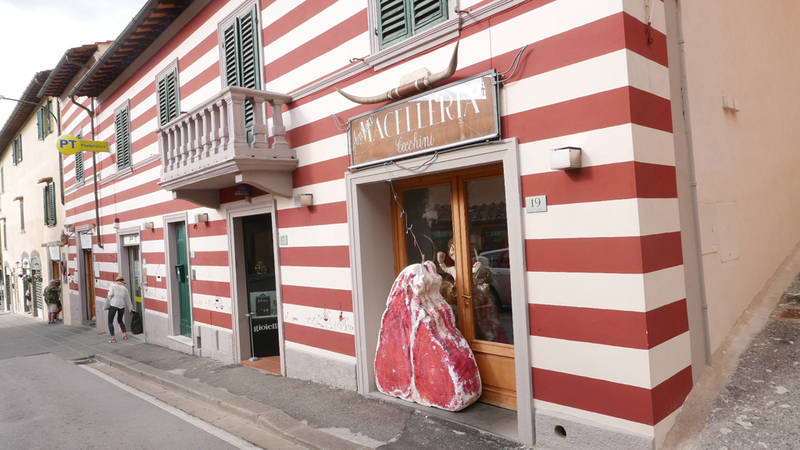 On the left of the square, a small street, with the indication Barone, rises slowly, bordered on the left by the houses painted in white and red stripes where the famous butcher Dario Cecchini operates. You can enter the butcher shop, drink a glass of Chianti and take part in the friendly atmosphere of the shop. Continuing along this street, you can see Mr Papini’s shop on the right, where you will find seeds, bedding plants, fertilizers … and everything for the garden. The cave of Ali Baba! Continue straight, turn right towards Hotel Villa le Barone at one kilometer. You can enter and discover the beautiful gardens! Continue a little further, you find an oratory and following the dirt road on the right, the beautiful Romanesque church Pieve di San Leolino, to which a porch was added in the 16th century. Do not miss the magnificent tabernacles of Andrea Della Robbia, and the paintings of the 16th century. Feel also free to push the door on the right after the baptismal font leading to the adjacent small cloister. What a charm! If you go back on the SS 222 road and continue towards Siena, on the right you will find the indication of the Oratory of Sant’ Eufrosino, with the spring near which the Saint who evangelized the Chianti lived. Festivals and events are numerous in Panzano in Chianti, and in particular the feast of the “Buona stagione” on April 25, that of the “Colombina” at Easter, the wine festival “Vino al Vino” in September…. Moreover, Panzano is located in the heart of the “Chianti Classico” region, where wines known worldwide are produced. You can visit many cellars and enjoy delicious wine tastings: Le Fonti, Molino di Grace, Fontodi and Castello di Rampolla … to name only a few. 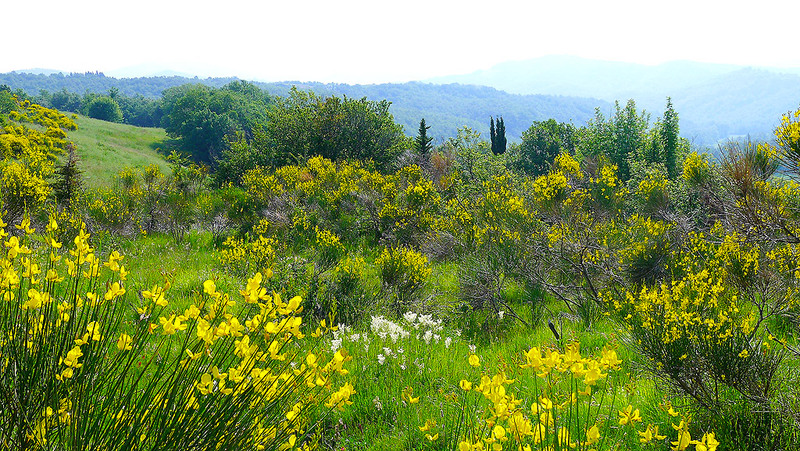 One cannot be tired of admiring the protected environment and the wonderful landscapes that surround this charming typical medieval Tuscan village, Panzano in Chianti. Why not take a short break to spend Easter in Chianti and discover some of the many Tuscan traditions to celebrate this important moment of the year: the special menu, the chocolate eggs, the “Colombina”, a custom that dates back to the time of the Crusades? You can enjoy all this while staying at Villa le Barone, and furthermore on Easter Monday you can stroll through the flea market taking place in Greve in Chianti. At Easter you will savor in our restaurant the typical traditional dishes, in particular the leg of lamb, and for dessert “la Colomba”, a molded cake in the shape of a dove. In general, like the Christmas “Panettone”, the dough of the Easter dove is made of flour, eggs, sugar, yeast and butter, to which can be added candied fruit. The cake is usually sprinkled with almonds and pearl sugar. Delicious! 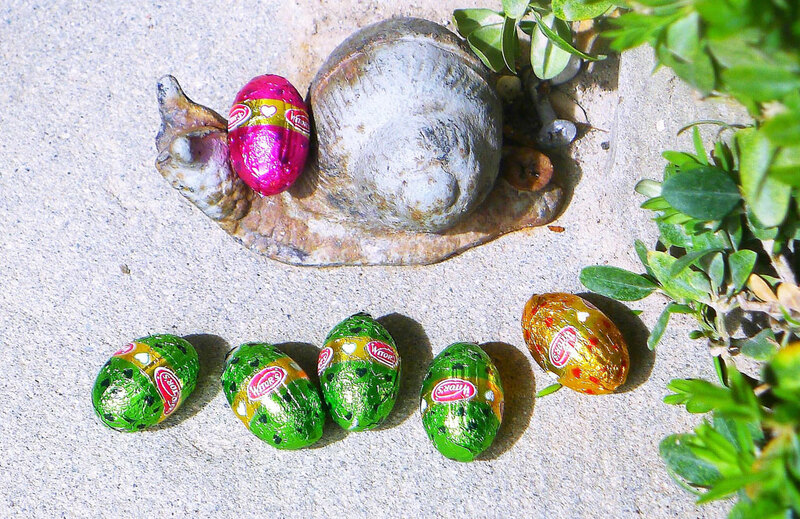 Of course, on Easter day, an egg hunt in the gardens of Villa le Barone is organized for the youngest … and on each table, at breakfast, our guests find a beautiful chocolate egg that they can enjoy when they wish. And there is also the famous custom of the “Colombina” which is held in many Tuscan cities: Florence of course, but also Greve in Chianti, and Panzano: a terracotta dove is set on fire, it goes down a cable, explode, and must go back all along the cable: it will bring good luck to the city! All the local population is present to witness the event! Finally, on Easter Monday, there is a flea market on Greve in Chianti’s triangular square and, under its arches or around Verrazzano’s statue, you will be able, perhaps, to find a treasure: painting, sculpture, lace, porcelain, or other piece of art! 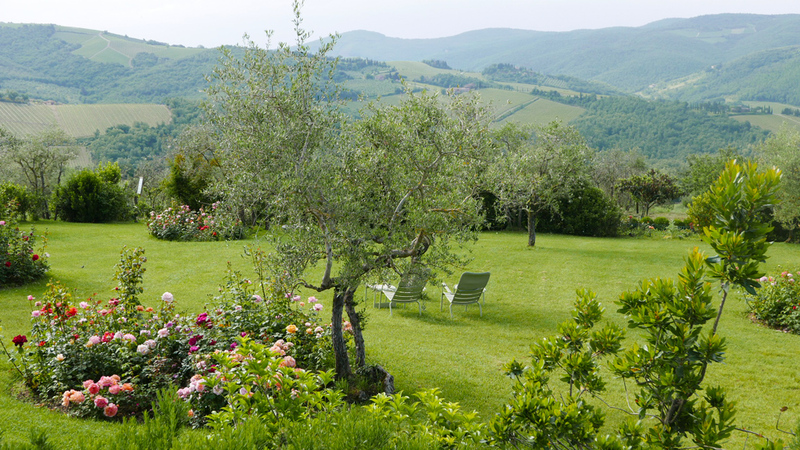 After a grey winter, feel the spring’s sun and discover Tuscan Easter traditions in a charm boutique hotel in Chianti!